I love Christmas. Perhaps because Hallmark holiday movies remind us we can go back. Maybe not to everything in real life, but IF we really want retro enough, we not only can go back; maybe we should. 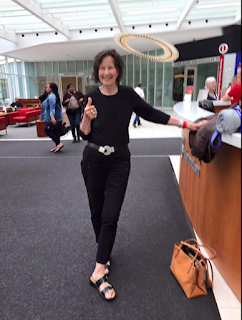 As a cancer survivor, I continue to fight to return to who I was, grab with gusto that life I had. Often, it's the small things I want. Like a pony tail flopping in the wind as I run. That matters. Because it defined me. Before. And now I want normal as I knew it. NOT "new normal." The old normal. The me who was and is becoming her again. In this season of happiness and blessings, I celebrate you with incredible gratitude for giving me the strength and courage to endure and prevail. I am here because of YOU! God bless and keep you. Always. No one survives the journey I took without daily doses of friends caring, liking, commenting. Those moments kept me going. IF there is a place beyond gratitude, it is where I live in everyday moments, over the moon to be alive. Please forgive me if I missed a frequent flyer. EXCEPTIONAL: And she is! Home in 2 weeks! My husband is almost 89. He still runs his business. An hour drive each way. And he's in good shape. His mantra: you need a reason to get up in the morning. So true of people during a cancer or illness journey. Even more true in recovery. That's why I have llamas. They are my reason to get up and moving in the morning. After that impetus, despite whatever the weather, I'm up and about. Then I can think about coffee, running, playing with my house pets. Doing farm chores. Going for a drive with my dog to nowhere in particular. 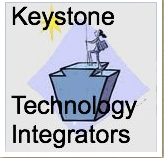 Running social media sites, a website, and 3 blogs do keep me busy, but are not reasons to get moving in the morning. 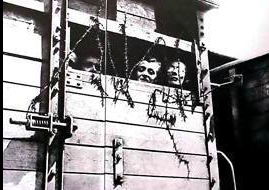 They WERE my salvation during quarantine in the year of recovery. 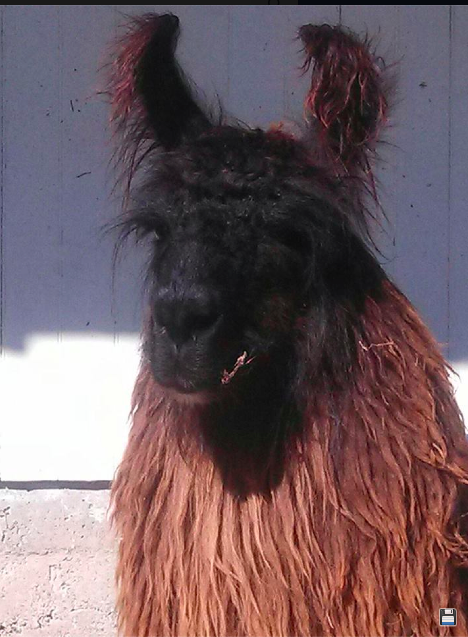 But the impetus to get up and live my life: definitely my llamas. 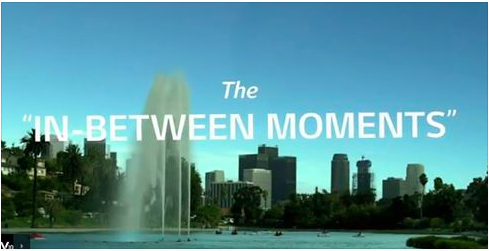 We all need a reason to live our lives inside the moments and not just exist. 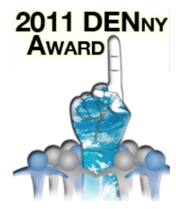 Do you have yours? 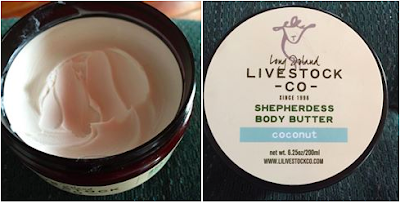 My newest cosmetic favorite comes from my friend Tabbethia Haubold whose Long Island Livestock CO, aka LILCO's Shepherdess Product Line delivers the richest bath and body products. And they are FABULOUS! 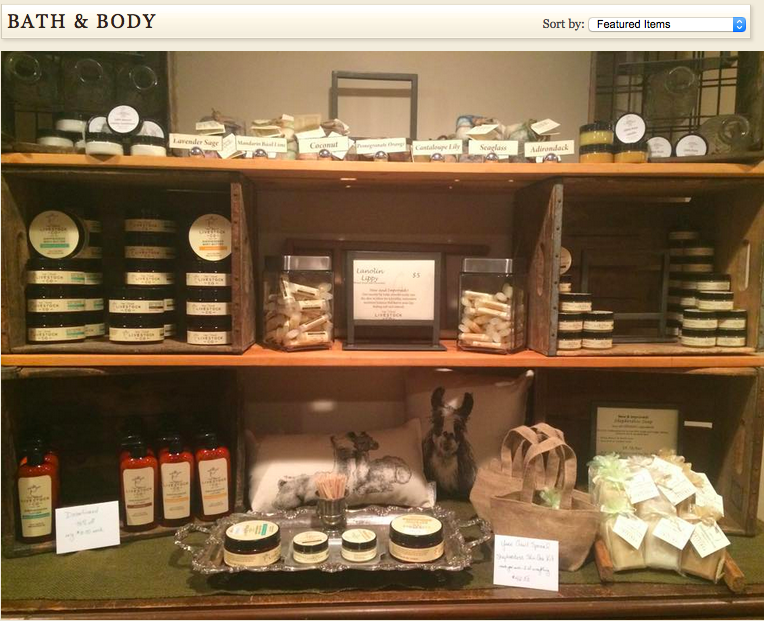 I fell in love with her newest scent, Coconut Body Butter. Heavenly. Rich and thick. Do the Bang Test. Upsidedown the container, after it's open. Bang it on a counter. Product doesn't move. That rich. When it comes to saving my feet from chemo and winter cracks, nothing beats Tabbethia's body body. I chunk it on, massage it in, and let it work inward while I drink my morning after-shower coffee. Then I put my running socks on. 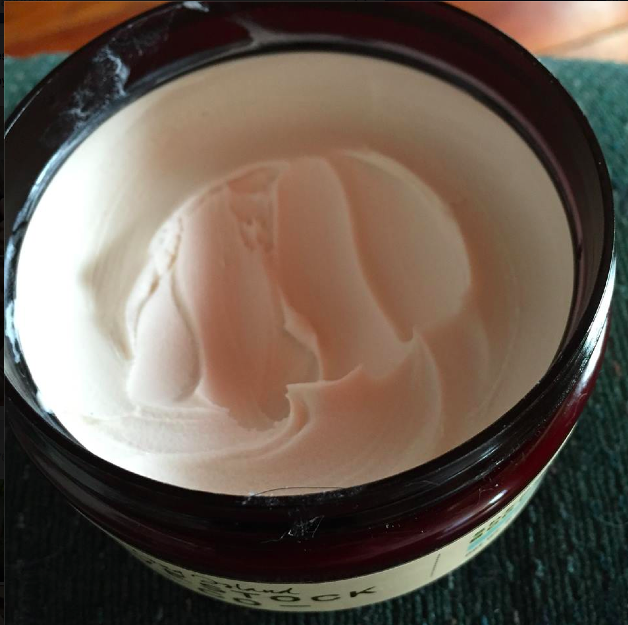 They're a tighter weave and lock that body butter goodness in. At the end of the day, my feet feel fantastic, and remnants of that rich thick body butter remain. As I crawl into bed for the night, I admit to feeling like a goddess. And then I slip into dreams. I admit to being a product junkie when it comes to skin care. So the products I used before cancer and during cancer are still in my product arsenal and I still use them. Just differently. I take a good look at my morning face and go from there. Some people cross train; I cross-use beauty products. If you can only manage one skin care product, before, during, or after life with cancer, then it would have to be Josie Maron's 100% Pure Argan Oil. It comes in several sizes to accommodate your needs (travel, fitting into your medicine chest, purse size) as a pure oil. And during cancer, as well as before, this is my go-to favorite one product. It works beautifully with other products in my arsenal of hydrating cosmetics, but this one is a winner. I admit you need to get past the notion of it being an oil. For some people, this would be a game stopper. But truly, this oil works perfectly on all skins, from dry like mine to oily, like one of my friends who finally decided to try it. But for the purposes of dealing with hydrating during cancer, because your entire body becomes very dry, feet and fingers crack, this oil is the perfect solution, before, during and after cancer treatment. I use it on my entire body. And you have many product options for use. I love the serum and use it before the oil as a base. Love it. 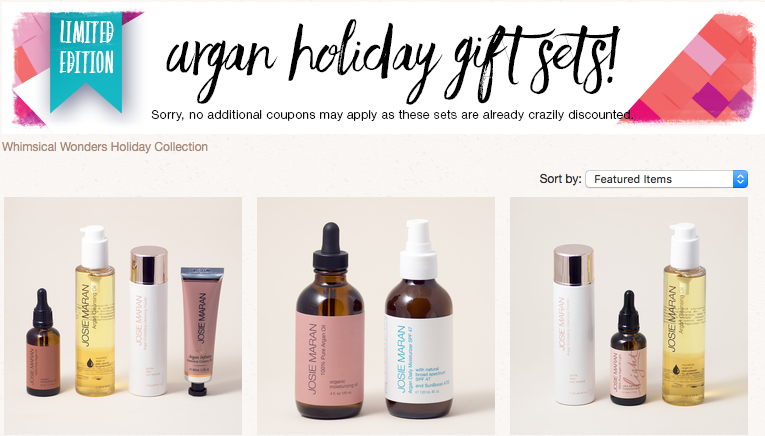 A wise marketer of a smart product, Josie Maron offers online specials, so always check there. And QVC when Josie is on the program, offers many unbeatable bargains. In addition, always check on her website for holiday specials. 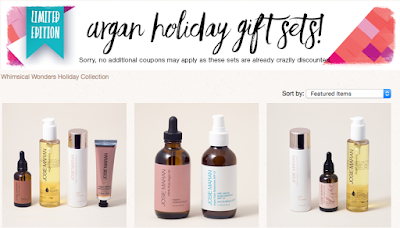 These are seasonal only offers in limited quantities, so you need to shop early. I promise you will fall in love with her hand cream. A starter sample kit is a good way to find your favorite fragrance, or perhaps you will just like unscented. 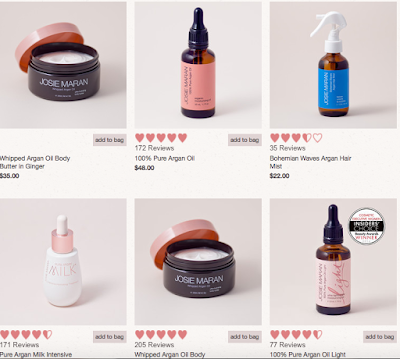 But, and I repeat this, you can do everything for your entire body with just the argan oil. I use it on my face, and then rub the extra on my hair. 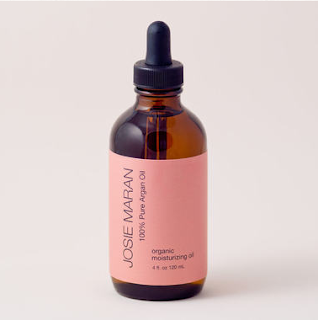 When I was bald, it was Josie's oil that began my hair regrowth. The only place I needed a more intensive healing treatment was my feet, but that is truly yet another post. Cancer takes a toll. 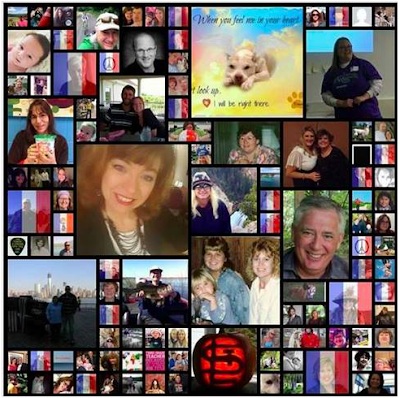 If you are lucky enough to survive, chances are you had an army of support. Made the right choices. Took control of your wellness. And for me, the most challenging part of the journey, you survive recovery. But that is another post. This post focuses on products I used that kept me hydrated, massaged body and soul, made me just feel better about myself as my body was ravaged with toxic chemicals for over two years. 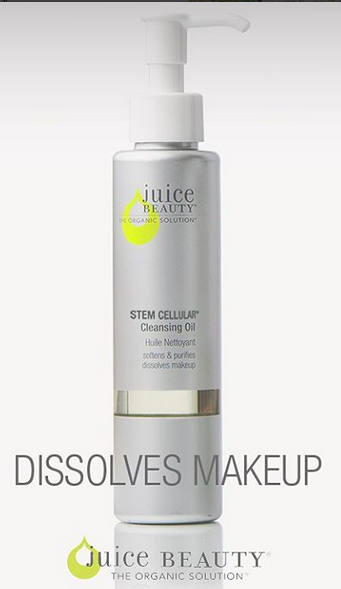 Before cancer, I used Juice Beauty Stem Cellular products. Ironic, since ultimately an autologus stem cell transplant at University of Pennyslvania Perelman Center for Advanced Medicine saved my life. 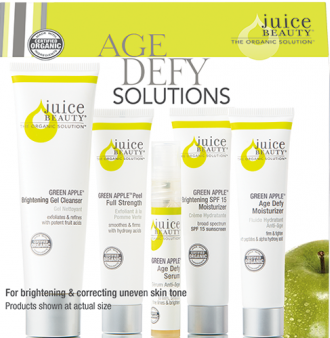 If you are a younger person, under 50, I recommend you use Juice Beauty Age Defying Green Apple skin care products. I chose this product line because it targeted mature skin and was like a daily face lift. And it was PURE, ORGANIC. No fuss. No horrible additives. Just pure organic love for your face. By the end of Year 1 with chemotherapy and no results, I reasoned I was a glow-in-the-dark-toxic waste dump. So I wanted everything else in my life to be wholesome, pure, organic. Although I did not wear makeup for nearly 3 years, except for visits to Philadelphia because I wanted to put a good face on cancer (another post), I used Juice Beauty Stem Cellular Cleansing Oil. Morning and evening. Massage with your fingertips and just enjoy being inside this moment. I kept this pump in the shower, in one of those up high shelves, protected from the onslaught of the shower. I kept a second pump by my sink for evening cleansing. For convenience, so I didn't need to crawl in and out of the shower/tub. 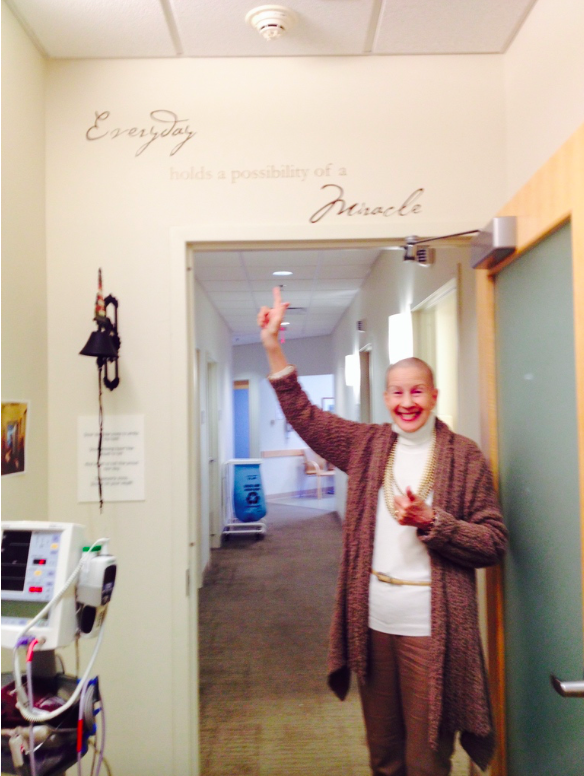 I was a fall risk, in and out of the hospital. But that too, is subject for another post. I admit these products are expensive. Difficult enough to buy one of anything in this line. But they are so worth it. 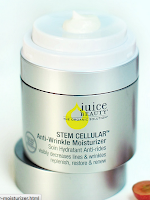 For hydrating, a must always but especially during cancer, I began with the stem cellular booster serum. It just glides on and is an absolute wonder. Let it dry before applying the next step, always a must for any product line. 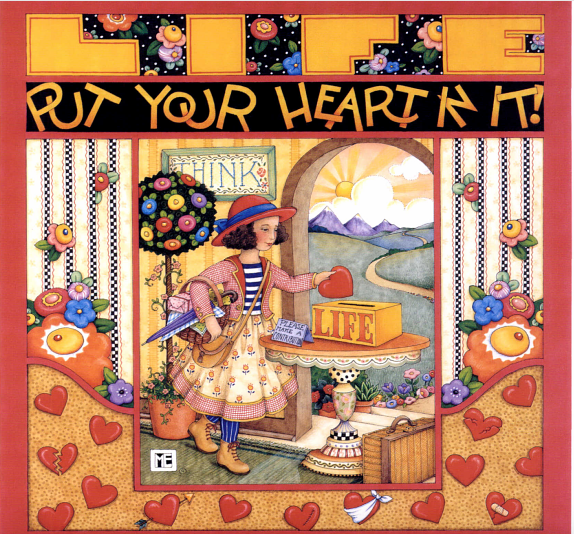 This is the first step in your immediate face life. Then, I applied stem cellular Instant Eye Lift. Literally, between the skin booster and the eye serum, you have just achieved a face lift. In a minute or two. In the time it takes to air dry. Watch this video, super short, about the eye serum repair and firming lift. The next product in your skin care morning regimen is the Stem Cellular Anti-Wrinkle Moisturizer. I love to slather this on my skin. I would apply a first layer. Then make my first cup of coffee, then return and add a second. 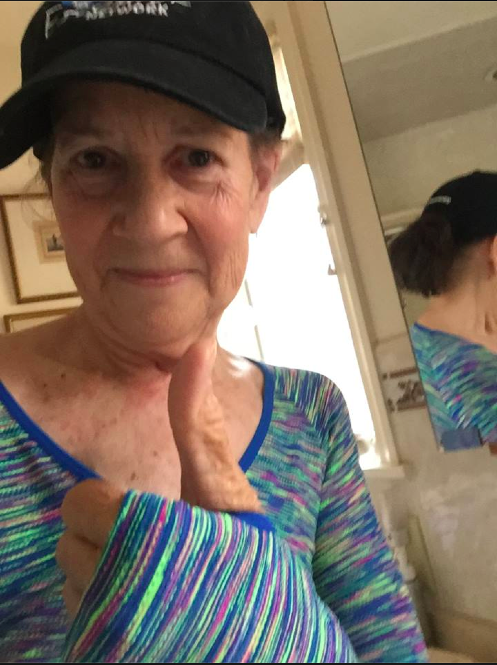 I have very dry skin, made even less moist by chemo, so a second layer was my added protection, added hydration when I returned to it periodically during treatment. 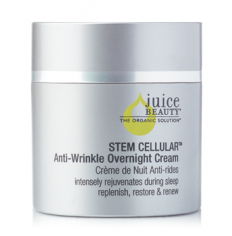 The Stem Cellular Anti-Wrinkle Overnight Cream. A salvation. My favorite. Sometimes I used it as my second layer for my morning routine. But for night time use, its original purpose, I really slathered this and let it soak in. And it will. Of course, before applying this rich luxuriant cream, you should cleanse you skin again. Let it dry, then apply your PM cream. It sounds like a lot of work, but we are worth it. Of all the products I've used over the years, always searching for the next best thing, I'm here to tell you this is it.